Every journey begins with the first step. Within our production process, this is represented by the design phase. Everything starts with the customer who brings us a 3D graphics rendering of the mold they require. Our team of twelve engineers then analyzes the project and processes the mold using 3D CAD-CAM stations for three-dimensional rendering: we have definitely said goodbye to dear old paper plans! 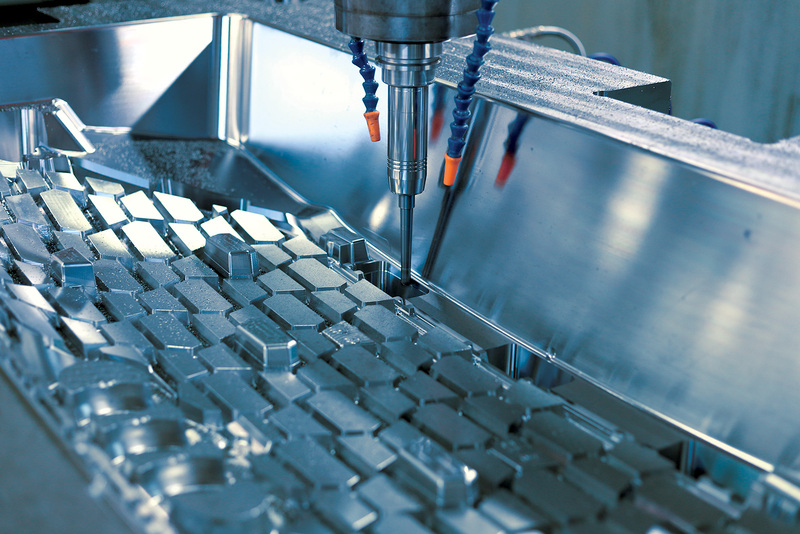 This is one of the most important phases of the entire production cycle because it is from here that the mold will come to life and even a slight mistake – our pieces have a tolerance of a few hundredths of a millimeter – can prevent a successful outcome. Precisely because of the delicacy of this task, we use only highly qualified engineers and technicians. This is one of the most important phases of the entire production cycle because it is from here that the mold will come to life and even a slight mistake – our pieces have a tolerance of a few hundredths of a millimeter – can prevent a successful outcome. Precisely because of the delicacy of this task, we use only highly qualified engineers. 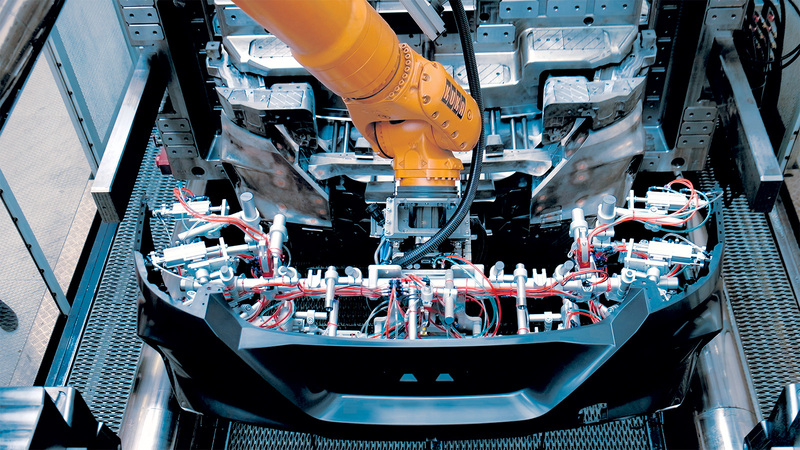 Of the many industries that benefit from injection molding and plastic compression, Romagnani Stampi focused on the automotive sector. In particular we deal with the construction of panels, body components, aerodynamic appendages, spoilers, hoods, and structural parts. A mold is like a complex puzzle that can exceed one hundred pieces. These are designed individually to adapt to any new project that is started in our factory. As unique as each project is, so are the methods of production. If it is true that every mold is a puzzle, then once all the pieces have been obtained, it is necessary to proceed with their assembly. In this part of the production chain, our technicians reconstruct the product by carefully following indications provided by the technical office. 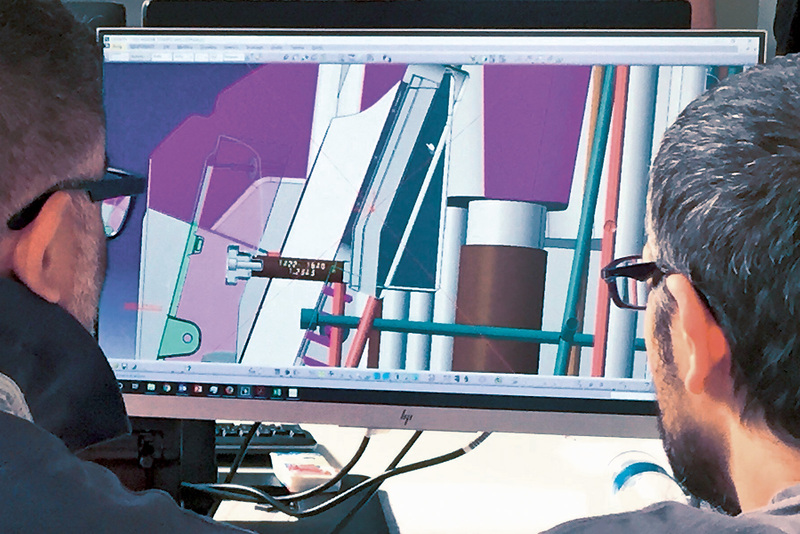 With the help of computers located throughout the factory, technicians can have access to the files to complete the correct construction of each mold in a short time and eliminating a large margin of error. This doesn’t mean that it takes little time to complete a product, on the contrary! This step, like we did with the whole process, has been digitalized, and all the needed information come to the right place at the right time. This allows us to have accurate control over time and costs and to eliminate margins of error. 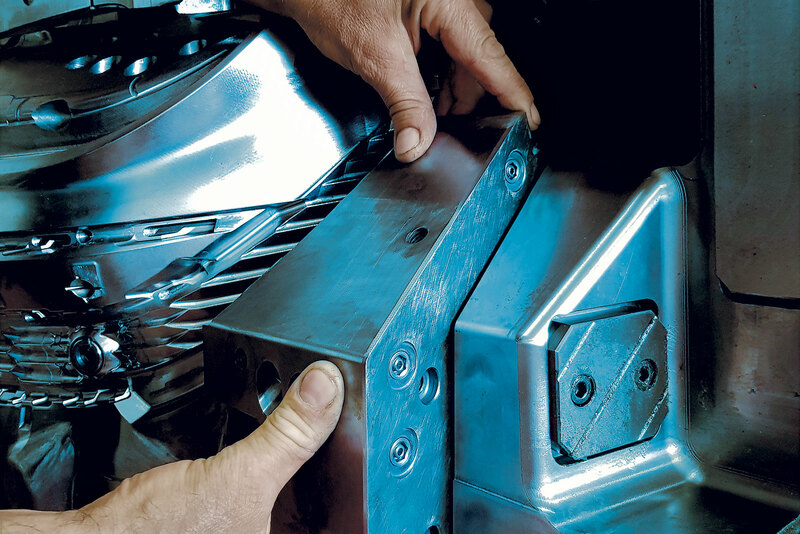 A finished mold can take from 3000 to 4000 hours of work to complete. This is the phase in which any existing issues or imperfections come to the surface: this is where we discover if the performance of the mold is in line with the expectations and needs of our customers and ensure high quality standards of the finished product. Our company is equipped with a large press to be able to internally test every mold made. The machinery is located in a separate structure away from the rest of the production to ensure clients have the utmost privacy and allow them to work undisturbed and away from prying eyes.